Thank you for your interest in the Boys of Summer and the Boys of Summer Cup. If you are new to our website, or unfamiliar with who we are, this page should help. The Boys of Summer is comprised of ten young men who lived in South Dakota and have a passion for the game of golf. The original six members were Adam Wynia, Brett Egge, Dan Sova, Justin Christensen, Neil Carmody, and Mark Anderson. Michael Martin was inducted into the Boys of Summer in August of 2004. The original six members were high school students from Sioux Falls who were friends on and off of the golf course. Michael Martin was from Brookings who was a fellow friend and competitor. Danny Amundson, Brad Jacobson, and Charlie Jacboson were inducted in the year of 2011. We celebrated BOSC X with 10 members, it turned out to be an epic celebration. The original six members attended four different Sioux Falls high schools and competed in golf tournaments throughout the summer. We traveled together to junior tournaments, and spent countless summer afternoon and evening hours together playing and practicing. We had always dreamed of one day hosting our own prestigious golf tournament. With all of our experience in tournament golf, we felt we could create the greatest golf tournament ever played. We would name the tournament the Boys of Summer Cup. Our first step in turning our dream into a reality was the creation of our trophy, the Boys of Summer Cup. Mark Anderson was in his senior year at O’Gorman High School and was enrolled in pottery class. He spent the entire semester “coiling” the illustrious Cup out of clay. He engraved the names of the six original members of the Boys of Summer on the Cup. When it was finally completed, the Boys of Summer had all of the inspiration that they needed for their dream to come true. 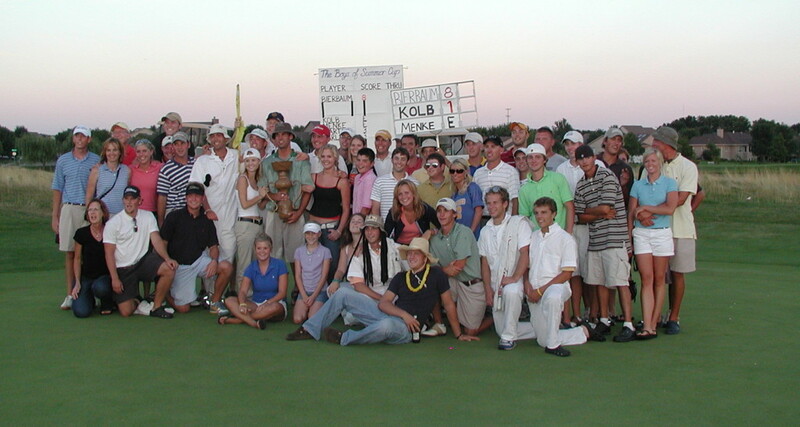 The first Boys of Summer Cup was played in August of 2002 at Prairie Green Golf Course. We began with 25 young local golfers and the tournament was immediately a hit. Some three years later, Prairie Green continued to host the event of now more than 125 participants. 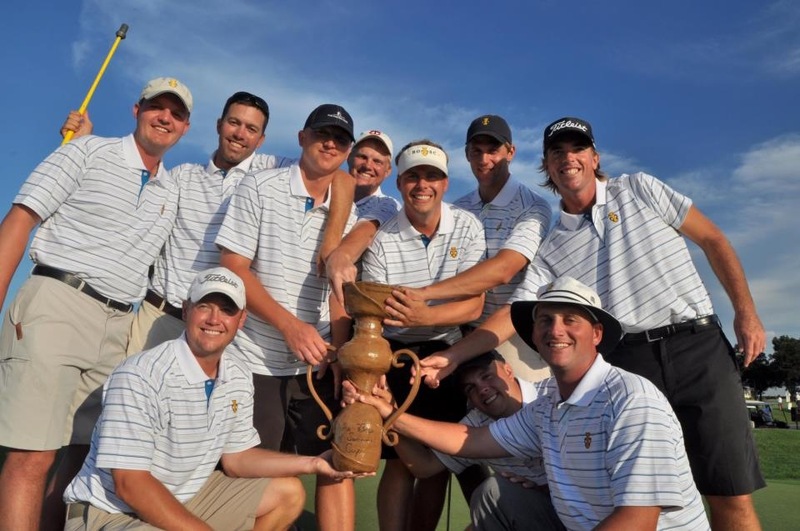 Some of the attractions of the tournament over the years have included Players’ Barbecues, One Club Tournaments, Personalized Players’ Badges, Tobacco Tees, an up to date 10 foot leader board, Scoring Tents, and after tournament celebrations. As competitive as the tournament is, it is about providing for others. We hope to continue to raise money for charities and scholarship. We want to continue to provide a golf tournament that all ability levels can enjoy. But mostly, we want to continue to host an event that brings friends home every year for a few summer days of great excitement and fun. The Boys of Summer would like to thank you for your interest in our event and extend this invitation for you to join us.